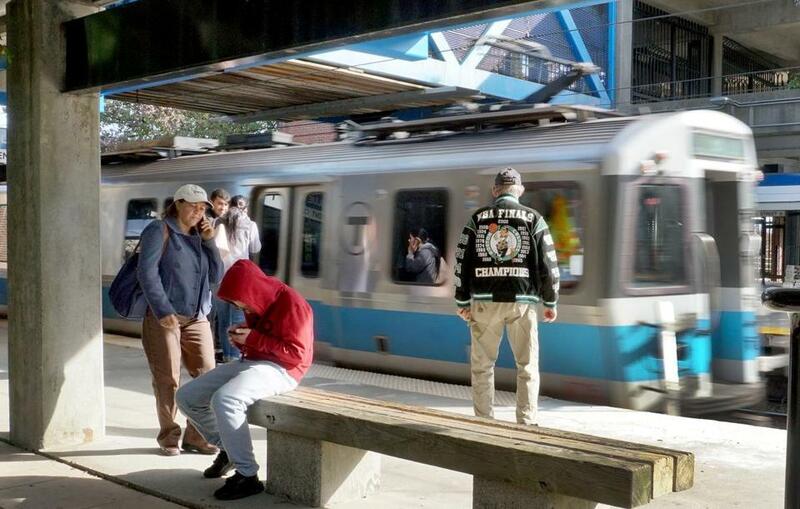 Passengers wait on the platform as an MBTA Blue Line train arrives at the Suffolk Downs station in East Boston. The possibility of a smoother connection for T commuters from Revere to Somerville or from Cambridge to the North Shore just went from the unlikely to the . . . less unlikely. Yes, that once mythical Red Line-Blue Line rail link is suddenly back on the table, bumped up in the MBTA line-up to “next priority” status by Transportation Secretary Stephanie Pollack at a meeting of the T’s oversight board this week. 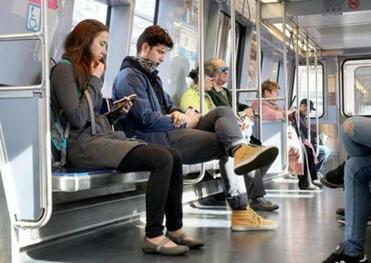 Now, “next priority” in public transit terms means a child born today might have a chance of using the new connection by the time he or she has to commute to college or maybe a job at Mass. General. But there is some pressure to move the project up in the T’s construction schedule faster than that. There was a time when a Red-Blue link was viewed largely as one more way to speed people to Logan Airport — nice to have but also redundant, not to mention costly. But several things have changed the equation — even after Amazon spurned Suffolk Downs for its mega-headquarters. The Amazon competition spurred the T board to take a second look at the cost. The most recent study concluded that advances in tunneling could bring in the 1,500-foot tunnel under Cambridge Street near the Charles/MGH Station at between $200 million and $350 million — far less than its earlier price tag. The long-proposed rail link got a boost Monday, but it may still be years before it’s built. But the real impetus for advancing the project is the enormous anticipated population growth along both routes. The Suffolk Downs site is expected to become home to some 10,000 residents over the next decade. And the Blue Line that serves it is already experiencing a growth in ridership. Look no further than the packed cars that carried Patriots fans to the rolling rally Tuesday, which filled up at Wonderland, leaving would-be Orient Heights passengers pretty much stranded. Sure, that was an extraordinary moment, but it speaks to the potential for getting North Shore commuters out of their cars if the T can get them where they need to go — say, the thriving biotech hub of Kendall Square. The other major project — also just announced — is Massachusetts General Hospital’s $1 billion expansion plan scheduled for completion in 2026. More buildings, more employees, patients, and visitors should mean higher usage at that critical Charles/MGH juncture. In fact, Ari Ofsevit, a public transit wunderkind with TransitMatters, suggested to the T board that it made more sense to construct the Red-Blue link at the same time as the MGH project rather than tear up Cambridge Street on multiple occasions. It’s actually a persuasive argument for speeding up the MBTA’s current 2040 target. The only problem, of course, is funding, as Pollack was quick to point out. “Inclusion in ‘Next Priorities’ does not mean we have the financial wherewithal to build them all and certainly not all at the same time,” she warned. The T’s debt burden is already substantial and about to get bigger with the additional cost of new cars and the Green Line extension. But if this project can be brought in for relatively short money sooner rather than later, it deserves yet another bump up in the transit line-up.